The York Radio Club board, at their April meeting, voted in favor of replacing the club’s main HF radio. 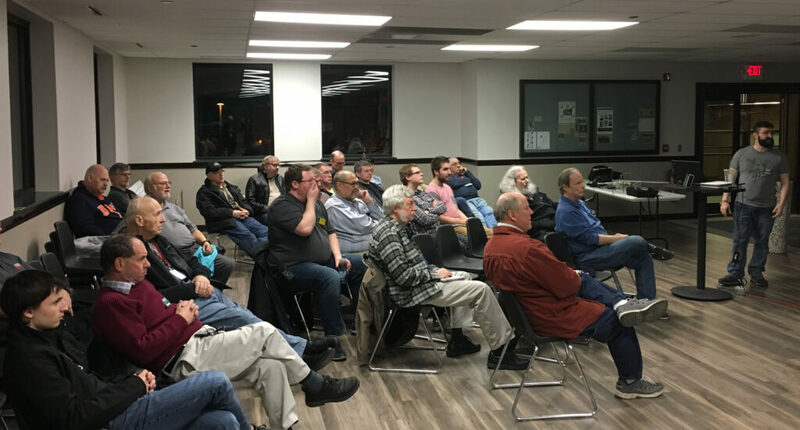 The goal, before Field Day, to have a new ICOM IC-7300, along with a power supply and cables – This replacement idea was presented to the Board by Club members suggesting a self-funded effort. The Board backs a plan to do two things to reach our goal. We sell our current ‘rig’ – a Yaesu FT-450D and with what’s needed to purchase a new radio, seek individual contributions from our members, not taking the funds from the Club’s treasury. The process will be voluntary, and at that night’s meeting, two members, George, KC9UIU & Ed, KD9JGW got the mission started with each passing $50 along to Angela, KD9IRC, Club Treasurer and volunteer to collect donations. Further information will be posted, very shortly, on how you can support this effort. EchoLink – how does it work? find out more . . .